In September 1916, Private Sam Alexander, of the 9th Brigade, 34th Battalion, 3rd Division, Australian Imperial Force, began writing in a diary. Over the next three years or so he would scrawl a few lines on most days about his experiences as a soldier on the Western Front. Kevin would eventually become a professional author, writing books like More precious than gold: An illustrated history of water in New South Wales and Burrinjuck to Balranald: The Early Days. But he also wrote an unpublished manuscript based on his memories of conversations with his childhood neighbour. Called From Kangaroo Valley to Messines Ridge: A Digger’s Diary 1917-1918, it’s a remarkable mix of transcripts of Sam Alexander’s diary entries, with context added by explanatory notes based on research and on Kevin’s own memories. My parents live in the NSW Southern Tablelands town of Goulburn, where my father is the Principal at one of the two state high schools in the town. Dad transferred to Mulwaree High School almost two years ago, though it took a year before he and my mother moved there. When we visited them a few days after they moved into their new house at Christmas last year, Dad managed to find a little time to show me one of Mulwaree’s hidden secrets. In an unassuming little cinder block building near the school’s main entrance is the Mulwaree High School Remembrance Library. 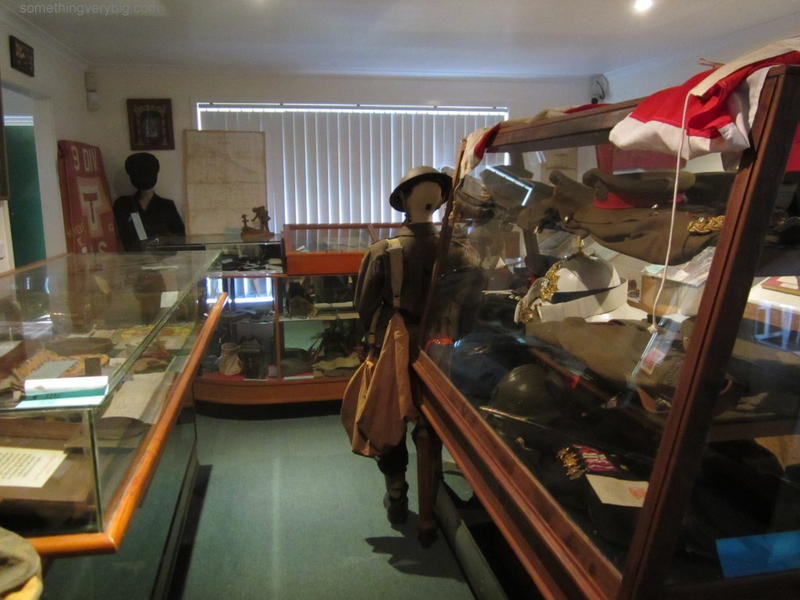 Started in 1992, it’s a collection of some 4,000 artefacts, photos and documents relating to local men at war, dating from Vietnam all the way back to the New Zealand-Maori War of the mid-nineteenth century. The Australian War Memorial has described it as perhaps the best collection, outside its own, of war memorabilia in Australia. Kevin Jeffcoat’s granddaughter is a student at Mulwarree. And in August 2012 she donated to the Remembrance Library a signed copy of her grandfather’s manuscript. It is beautifully written and a fantastic resource for the school. Kevin Jeffcoat has put Sam Alexander’s story into an easily understood form and so has ensured that those stories that he was lucky enough to hear ‘from the horse’s mouth’, so to speak, will remain accessible to new generations into the future.